Plant-based athlete Kappel Leroy Clarke has brought new meaning to the widely used weightlifting expression 'lift things up and put them down'. 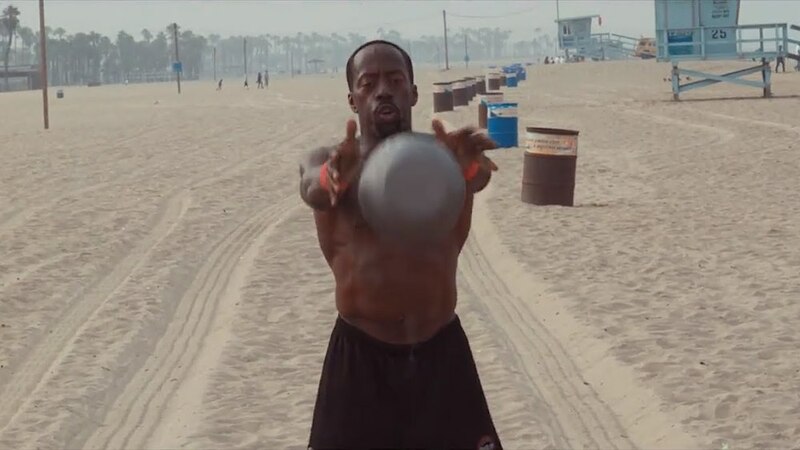 On a sunny Sunday in LA, Kappel travelled the distance between Venice Pier and Santa Monica Pier (2.7 miles) with his 48kg kettlebell. Picking the kettlebell up before throwing it out in front of him, and picking it up once again, Kappel covered the distance in 5 hours, 37 minutes and 58 seconds. This resulted in exactly 1,801 throws of the kettlebell - a cumulative weight of 95.29 tonnes. Kappel's approach to fitness has always been an interesting one. Much of his personal training and work with clients focuses less on the physical elements of fitness, and the thought processes that one undertakes in situations of extreme stress on the body (entitled Fre Flo Do). This approach was undoubtedly utilised in this extreme feat of endurance and strength. A short film, entitled A Marathon of Power has been released showing Kappel's journey towards defeating this challenge.